Con season is slowly kicking off again, starting off with ComicCon Toronto. 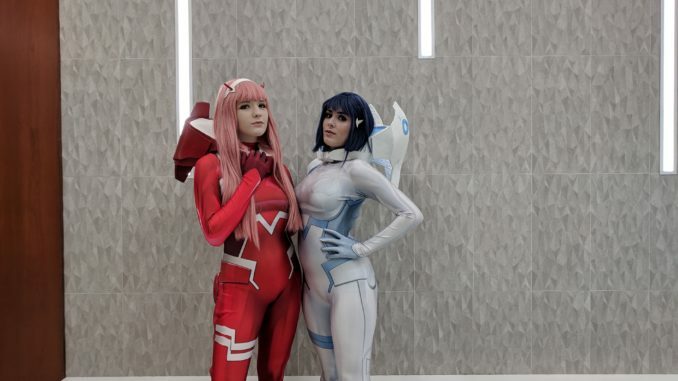 Fans of superheroes, anime, movies and video games flooded the Metro Toronto Convention Centre to experience the fan-fare and to get up close with their favorite actors. Big names who appeared this past weekend include Dan Fogler (Fantastic Beats and Where to Find Them), Ron Perlman (Hellboy) and Emma Caulfield (Buffy The Vampire Slayer). Going around the convention grounds, con goers are a part of a bigger community with the different “fandoms” that correspond with all the different shows and movies. There are also a wide variety of age groups that attend. ComicCon is also family friendly and interactive spaces for children, tons of parents come down with their kids to close of their March Break. Some families make it a whole spectacle, meaning everyone comes in coordinating costumes. Every con is filled with cosplayers upon cosplayers. It’s as if Halloween happens in the middle of the year. For some it’s Halloween every day. Con goers are often decked out as they appear as their favorite characters. All if not all cosplays/costumes are handmade, the rest are bought and that’s okay, it’s not about the quality of the costume its how you feel in it. I spoke to two cosplayers, Bren and Soap. Both cosplay as a full-time job, a job for a cosplayer varies per person. Often times it is photo shoots while in character for calendars or just photos for sale, so fans of the cosplayers can purchase through Patreon. Bren shares her life as a cosplayer as the “artistic expression of a character”. She goes on to say that she’s just happy she is able to share her art through cosplay at all the cons she attends. 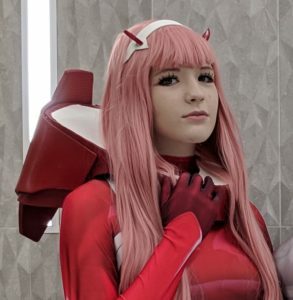 Soap says her experience for ComicCon is beyond attending it, she enjoys seeing the friends she’s made through cosplaying. Both ladies, hand make their costumes for each convention they attend. If you’re fans of the cosplay and fandom, then get ready for AnimeNorth, International FanFest and FanExpo this summer.